Prof. Emeritus Stavros J Baloyannis was born in Thessaloniki, Greece. He graduated from the School of Medicine of Aristotelian University of Thessaloniki, Postgraduate training (a) in Neurology in Aristotelian University and Institute of Neurology, Queen Square, London, (b) in Neuropathology in Institute of Neurology, Queen Square, Catholic University of Louvain, University of Pennsylvania, Philadelphia, USA (c) in Neurootology and Neuropathology of Auditory pathway in Harvard University, (d). Neuropathology and Experimental Neurology, University of Pennsylvania, (e) Neuroimmunology, Yale University, New Haven. Research on Blood-Brain Barrier in dementias, Blood-Brain Barrier in Demyelinating diseases, Mitochondria in Alzheimer’s disease, Synaptogenesis in vivo and in vitro, Neuronal apoptosis in dementias and demyelinating diseases, Dendritic pathology in dementias, Pathology of Golgi apparatus in dementias. Special interests: Neuroethics, Neurolinguistics, Philosophy of Neurosciences, Application of mathematics in Neurosciences, Neurology and the Art. Member of 40 scientific societies in Greece and abroad. Honorary Member of the Academy of Hellenic Air Forces. President of the Society for the amelioration of the quality of life in chronic neurological diseases. President of the Orthodox Medical Association for support of health and medical education in Africa. He was visiting the professor at Tufts University, Democratic University, Aristotelian University, School of Theology, Aristotelian University, School of Philosophy. Author of 28 textbooks on Neurology, Neuropathology, Neuropsychology and of 678 papers, published in Greek and International Journals on Neurology, Neuropathology, Neuroimmunology and Neurotics. Distinctions 12 Gold medals. Title Archon Actuarius of the Ecumenical Patriarchate of Constantinople’s. 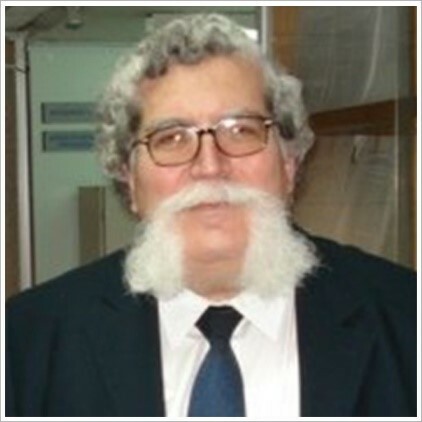 Head of the 1st Department of Neurology, Aristotelian University for 20 years (1992-2011).Emeritus Professor of Neurology, Aristotelian University, Thessaloniki, Greece. Director of Research Institute for Alzheimer’s disease, Iraklion, Langada. Blood Brain Barrier in dementias, Blood Brain Barrier in Demyelinating diseases, Mitochondria in Alzheimer’s disease, Synaptogenesis in vivo and in vitro, Neuronal apoptosis in dementias and demyelinating diseases, Dendritic pathology in dementias, Pathology of Golgi apparatus in dementias. Special interests: Neuroethics, Neurolinguistics, Philosophy of Neurosciences, Application of mathematics in Neurosciences, Neurology and the Art.